Sleeping Room Reservations: Doubletree Del Mar or 855-610-8733, mention group code Mt. 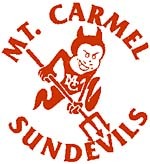 Carmel 1999 Reunion for very special pricing. Space is limited, reserve early! Offer expires 9/19/19.